CTIA is Wild This Year and it Hasn’t Even Started Yet. I’m at the big CTIA Wireless trade show in Orlando this week as the guest of WOMWorld/Nokia. The event doesn’t start until tomorrow but, thanks to a couple of huge pre-show announcements, it’s already shaping up as an especially interesting show this year. Yesterday, AT&T announced that it is acquiring T-Mobile USA. The match-up, if it passes regulatory review, would make AT&T the largest US operator. As a long time satisfied T-Mobile customer who also briefly used AT&T a few years ago I’m apprehensive about this deal. On the positive side, combining the two networks should improve coverage and network capacity. But T-Mobile has traditionally been the most consumer friendly of the US operators, with the best pricing, including discounted plan prices if you bring your own phone, and liberal device unlocking policies. AT&T has neither. The merger will also leave the US with only one GSM network and a monopoly is never a good thing for customers. On a more positive note, Sprint announced tight integration with Google Voice. As I understand it, Sprint numbers will become Google Voice numbers with all the usual Google Voice features: the ability to divert calls to multiple phones, including non-Sprint phones, voicemail transcription, online voicemail and SMS management, voicemail forwarding to Gmail, cheap international voice rates and threaded text messaging. Best of all customers will be able to keep their Google Voice numbers even if they leave Sprint. This is a very disruptive move by Sprint and one that should be popular with users. I just hope Sprint doesn’t wind up getting acquired by Verizon in a year or two. This evening my hosts, Nokia, are having a 6 PM event which I’ll be attending. It’s been widely rumored to be the launch of the Nokia C7 Symbian^3 phone on T-Mobile US. If true, that seems like rather unfortunate timing with the merger overshadowing anything else T-Mobile does these days. On the other hand, I’ve seen the C7 and it’s actually a rather nice device, similar in some ways to the high end N8 but at a lower price point. Like the N8 it has a 3.5 inch 640×360 touch screen. But unlike the N8, the C7 uses Nokia’s new ClearBlack screen technology which improves contrast, color saturation and provides better readability in sunlight. The C7 is also substantially thinner than the N8. Hopefully the Nokia event will include a surprise or two. 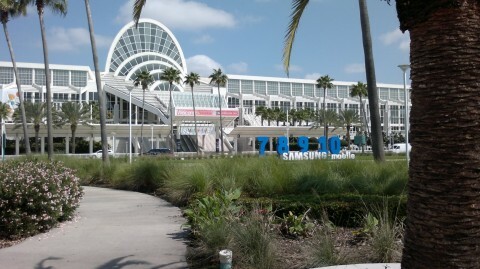 This entry was posted in Events and tagged ATT, CTIA2011, Events, Nokia, T-Mobile, WOMWorldNokia by Dennis Bournique. Bookmark the permalink.